A temporary exhibit at the Smithsonian’s National Museum of Natural History uses x-rays of fish from sharks to gar to study diversity in skeletal systems. 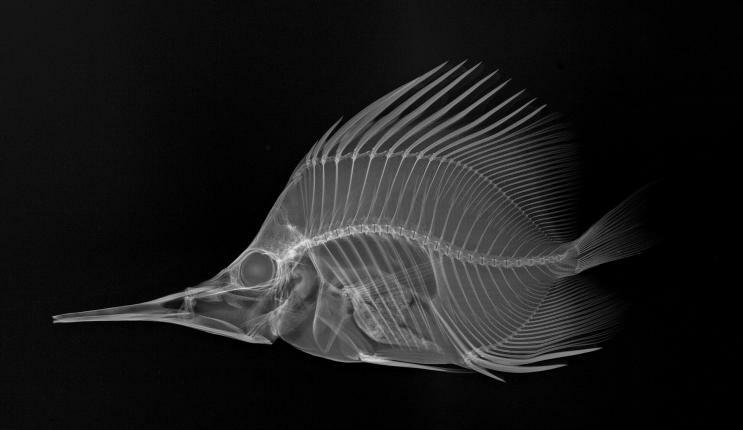 The x-rays show that some fish have skeletons built from cartilage while others have skeletons built from bone. The exhibit is called “X-Ray Vision: Fish Inside Out”. The exhibit will be on display through August 5, 2012. All the x-rays on exhibit are viable on flickr. You can read more on the exhibit here. 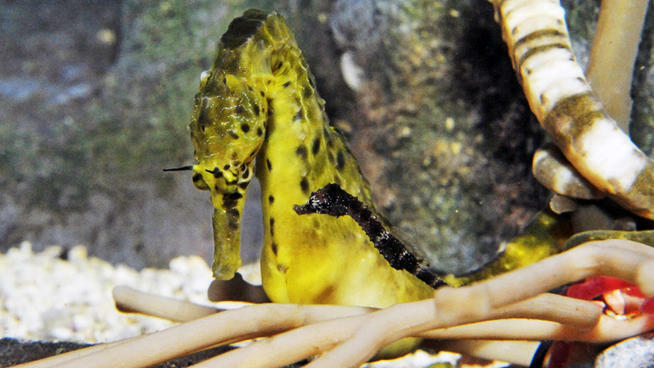 Just in case you missed it, here is a summery of last week’s most popular Reef News. 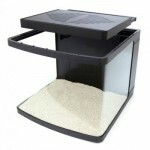 A few months ago, we shot a video of a freshwater setup using the EcoPico Desktop Aquarium by Ecoxotic. Last week, we had a chance to shoot a beautiful EcoPico Ricordea Garden. Don’t forget to watch it in HD. 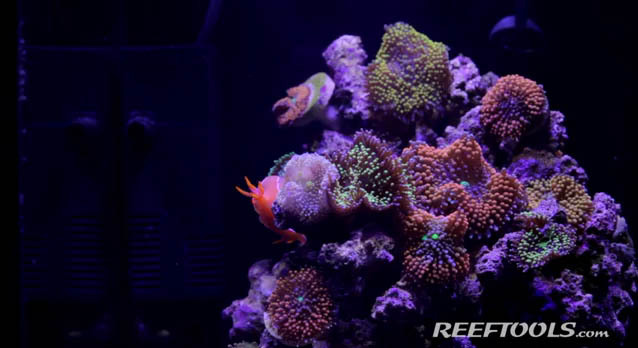 For aquascaping, this EcoPico setup, uses one coralline covered rock, which is slowly being taken over by a colorful selection of ricordeas and yumas. 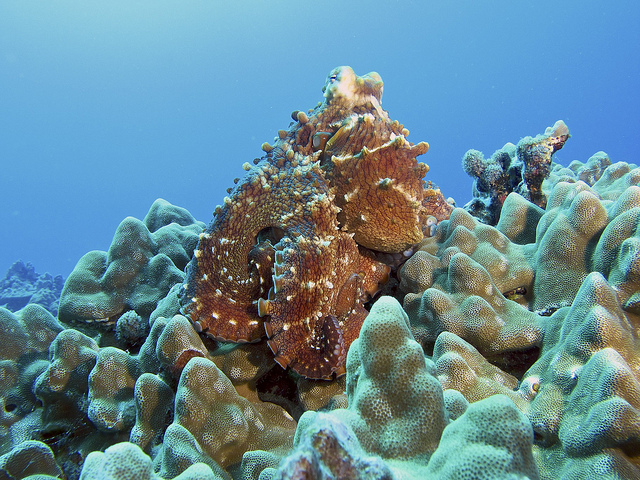 You’ll also see a neat collection of critters (extra credit for ID’ing the nudi at 1:12). Let us know what you think, and post links to your own nanos in the comment section below. 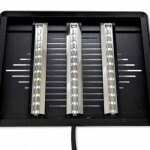 Orphek has stepped up their game, quickly racing towards the top of the LED aquarium lighting market. ReefTools recently introduced the Orphek PR-156 to our community, now we would like to introduce its big brother, the Orphek Nilus. The Nilus looks very similar to the PR-156 since Orphek maintained the stylish designed. 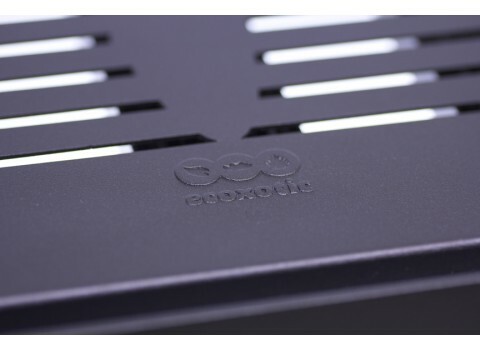 The biggest changes are in the controller, it is now equipped with dimming functions capable of independently dimming the white and blue LEDs. 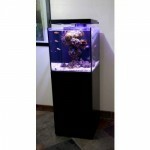 This coupled with the controller’s timers gives the aquarist absolute control over the look of their reef. The controller can be programmed for multiple intensities through out the day creating a nice sunrise to sunset look. 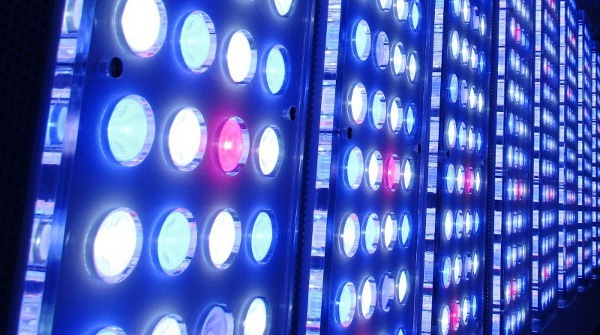 Orphek states the dimmer spent a year in research and design perfecting the fixtures ability to maintain the spectrum output while being dimmed. 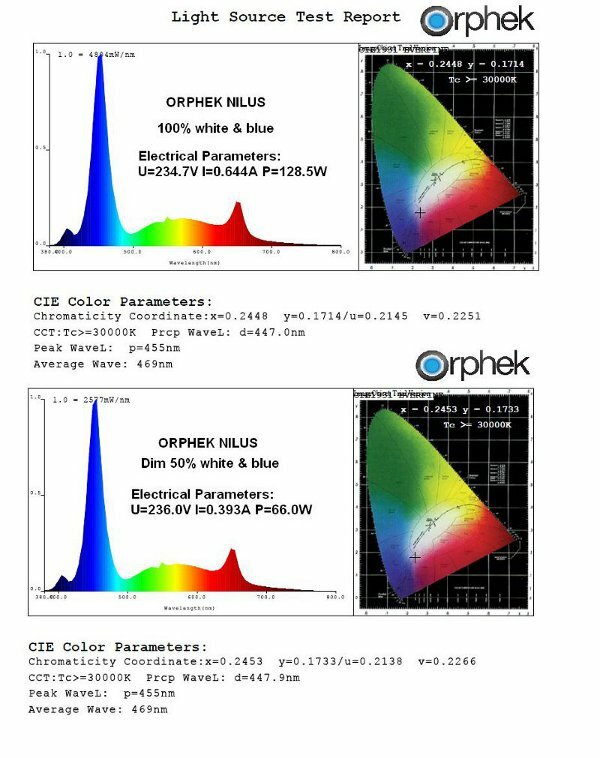 To obtain the “perfect” spectrum for SPS corals Orphek added additional diodes with varying colors. We are looking forward to the opportunity to see these in action. 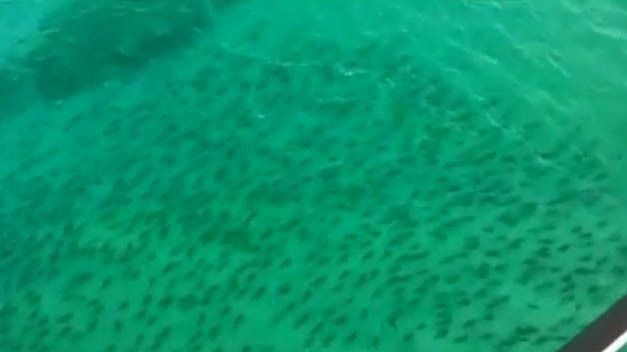 A video was posted on YouTube last week showing an uncountable number of sharks migrating along the coast of Florida. The video was shot from a helicopter reportedly behind the Breakers Hotel in Palm Beach. 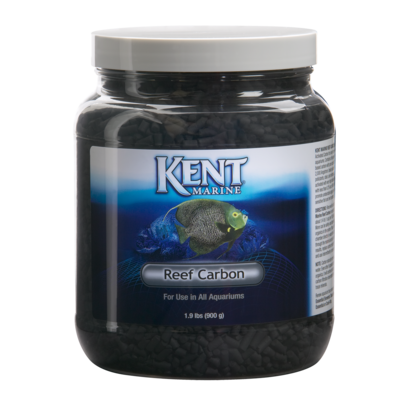 Kent Marine stated on their website yesterday, February 22, 2012, that there is a quality concern with the Reef Carbon manufactured between December 5, 2011 and February 8, 2012. Apparently heavy metals, like copper, found their way into the carbon during mining. 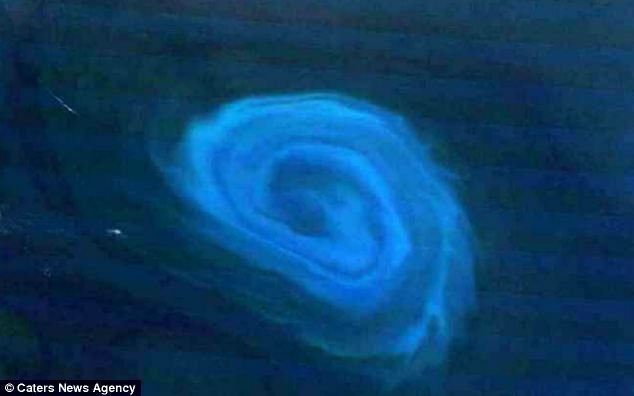 These metals will have negative affects on clams and stony corals. 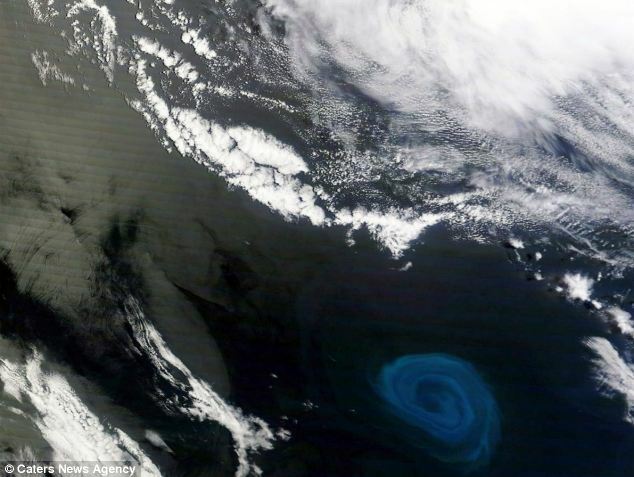 It is reported these effects have been witnessed with in a couple of hours after using the contaminated carbon. You can read the full product advisory and review a chart showing which products have been affected here. 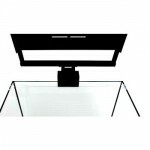 Ecoxotic releases their new 18” Panorama Pro LED with the nano in mind. 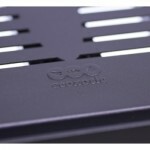 These little guys utilize three 19-watt Panorama Pro modules. 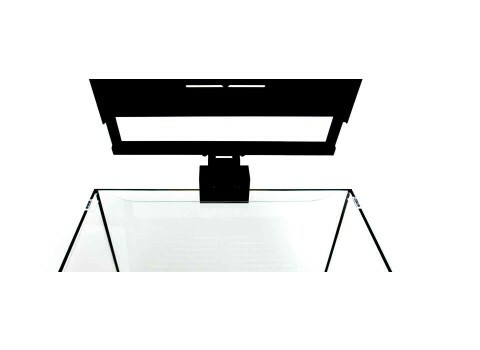 Ecoxotic has maintained their sleek look and the ever convenient patented hinge mounting system. 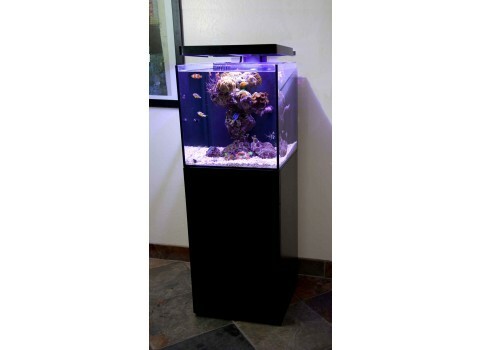 One of the best features of this fixture is the ability to customize it to your preference and the layout of your aquarium. 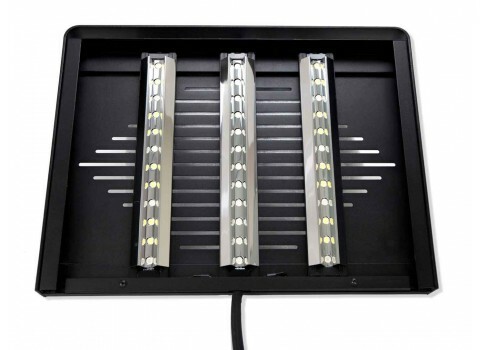 An inline dimmer allows you to independently control the intensity and brightness of white and blue LEDs. 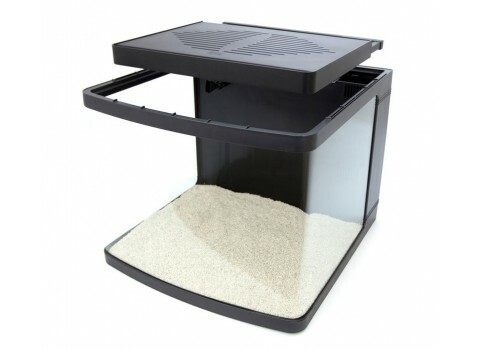 Each of the modules can be shifted right to left to maximize the spread and focus of your aquascaping. The fixture leaves plenty of space to add additional Panorama Pro Modules or stunner strips to customize the look and spectrum. Hitting the shelves in a store near you for $399.